Nicole Carswell Tolle has been a professional in the Tennessee Walking Horse industry for 28 years, and has trained numerous International and World Champions. She currently resides in Fountain, Colorado with her husband Tracy, where they farm grain, hay and raise Tennessee Walking Horses. Nicole has held many positions within the Tennessee Walking Horse world. She has been a professional trainer and instructor for her entire career. 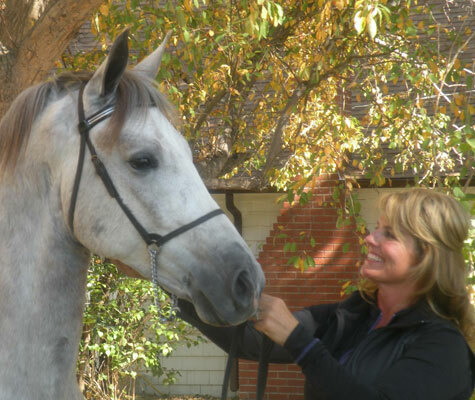 She was instructor for judging programs and created the original Equitation Certification Test. She has judged several of the industry’s top show events; and her most proud moment was serving as National Clinician for TWHBEA on the WALK THIS WAY, NICOLE CARSWELL TOUR traveling the US and several foreign countries with educational and breed information clinics. Nicole co-created the TWHBEA CRI Program and Academy Program; at TWHBEA, she was instrumental in creating the International Committee and International Rulebook; she served as judge for two European Championships in Germany, and later show manager of two European Championships also held in Germany. Nicole has also been an Equine Care Ambassador for the Oster Company. Currently Nicole is still traveling within the US and Europe for horsemanship and training camps growing her new company WALK N STYLE LLC which she co-owns with Denise Bader. Nicole’s passion is training the Tennessee Walking Horse and teaching the art of riding and how rider effectiveness applies to horse training. Nicole is the Author of A Matter Of Pride, Horsemanship for Riders of Tennessee Walking Horses. In 2013 she and friend Denise Bader in Germany founded WALK N STYLE LLC, a company which is currently celebrating the new release of their Tennessee Walking Horse Equipment line which will be on site at all 2018 events for everyone to try!